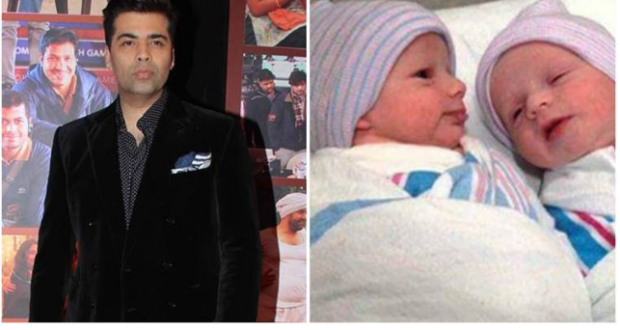 Karan Johar is a happy dad of twins, son Yash Johar and daughter Roohi Johar. The news broke on March 5 and soon the new dad confirmed he has become the father to twins via a statement. But are these pictures the real deal? But while his close friends are happy about the new addition to Karan’s life, fans are going crazy about every little detail related to the twins. 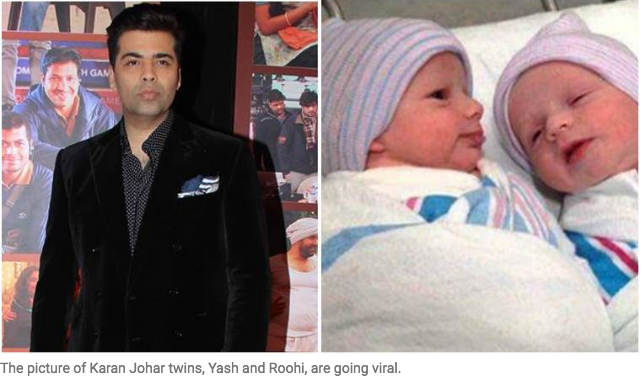 In fact, a photo of twins, said to be Karan Johar’s babies, has gone viral. 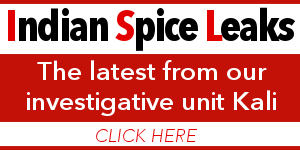 Despite indianexpress.com getting in touch with Karan’s Dharma Productions regarding the veracity of pictures, no response was forthcoming. While we know that the baby boy and the baby girl were born via surrogacy, a few reports revealed that the twins were born last month. 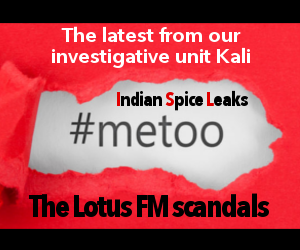 While the reports suggested that the babies will be in the hospital for a few more days, sources told us that they have already been discharged from Masrani hospital. As soon as the news of his babies came out in public, the internet went into a tizzy over the revelation of baby names and their pictures. While baby names were announced in the statement by Karan, with boy’s name kept Yash, after his late father’s name, and Karan’s daughter Roohi is a rearrangement of his mother’s name Hiroo. But as for the photographs, the official releases are yet awaited. In the absence of authentic pictures, the internet has surfaced several fake ones on the web, something we have seen before with other celeb newborns in the past.